If you’ve been training hard in the gym, at some point in your career you’ve probably experienced low back pain. Maybe it’s happened to you multiple times, and yes, it is extremely annoying! How did you manage it? Did you seek out medical care? From who? Unfortunately, it could be vastly different depending on who you see! While there are many articles that attempt to show you how to PREVENT this issue, this article will show you how to manage it once it’s already happened! Although treating the dreaded lifter’s low back “tweak” can vary from person to person, here are some common themes and tips to help you get back to the iron! A physical therapist may check your pelvic alignment, see that one side looks shifted compare to the other and diagnose you with various terms such as a pelvic upslip or rotated innominate. A massage therapist may feel your muscles, inform you that you have “fascial restrictions” or adhesions, and that you need his/her skilled hands on therapy to “break them up” and remove them. Go to your primary care physician, and he or she may just prescribe Flexiril (a muscle relaxer) and tell you to rest until the pain goes away. What if I were to tell you all of these treatments, although they do have good intentions (at least I hope) are not optimal, and in even some cases…incorrect? Your spinal bones don’t go out of place, your pelvis doesn’t slip out, hands on therapy can’t release fascial adhesions, and just “Flexiril and Chill” are all very POOR pieces of advice! Why…because they create the idea that the body is inherently unstable and weak, and that you need the help of a “skilled practitioner” to be “fixed”. All of these ideas create DEPENDENCE on the healthcare system to get you better. That’s not cool! So how do we effectively treat this? What is the role of a good healthcare practitioner? The primary role of the healthcare provider in managing low back pain, whether it be a physical therapist, chiropractor, or physician, should be to provide solid education. It is the practitioner’s job to convey the message that back pain, from time to time, is NORMAL and usually resolves without treatment. Just this education alone can be enough to decrease pain, as having false beliefs about pain is often enough to…you bet…exacerbate pain! It is important to convey the message that the spine is inherently strong and stable! While hands-on therapy may work sometimes for some people, helping the trainee self-manage by finding tolerable movements, restoring painful movements, encouraging him/her to continue training, and reducing the risk of future injuries are all pivotal areas that the healthcare provider can help with! Most of the time after the dreaded low back “tweak” many lifters will have a movement that the spine doesn’t tolerate well. For example, some people find themselves unable to flex their spine (bend forward) after a deadlift injury. What you want to do in this case is realize this movement is highly sensitized and avoid it temporarily in the initial stages. Instead of constantly painfully stretching into spinal flexion with exercises such as the sit and reach and prayer stretch, try doing 10 standing back extensions an hour. This is a way to provide threat-free, low back movement input to the brain, which can help desensitize it and decrease pain. After the injury calms down, then you can begin to slowly re-integrate and tolerate spinal flexion. People run into trouble when they panic because they can’t bend forward…so they hastily, repeatedly, and frequently bend forward and stretch into a highly sensitized movement, which usually makes it worse! Here’s the truth. In most cases, after red flags have been ruled out by your healthcare provider, there is no reason why you cannot continue training through an acute low-back injury. Although this may require temporary avoidance of the movement that was associated with the injury, the bottom line is to find exercises that don’t hurt…and load them. In the case of the lifter’s dreaded low back “tweak,” lunges and other single leg variations will be your friend. If you hurt your back deadlifting and you are temporarily unable to bend forward without pain, lunges are a great alternative that allow you to get one hell of a lower body training effect without having to fear reinjury. Other exercises to consider include, step ups, split squats, and low-level core work such as deadbugs, birddogs, and plank variations. All of these movements allow you to continue MOVING and LOADING, giving your brain non-threathening stimuli to help decrease pain and promote recovery. Catastrophizing and kinesiophobia are two thought processes that many people with an acute injury experience. People who catastrophize tend to see the worst possible outcome and obsess over their pain…it’s all they can think about! This catastrophizing can easily lead to kinesiophobia, or fear of movement as well. So how does one address this? This is where I believe the healthcare practitioner can play another HUGE role! Providing the education that acute low back pain in the lifter sometimes just happens can be enough to desensitize the system and reduce pain. Additionally, it should also be stated that most of these cases get better on their own as well…without any treatment. 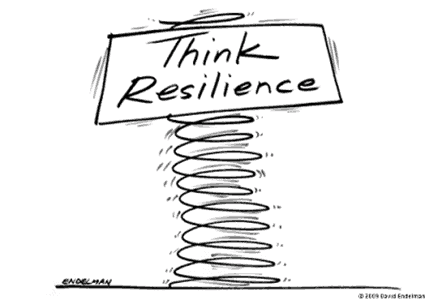 Remember, although it may not feel like it at the time of an acute low back injury, your body is adaptable and robust! After the acuity of the injury passes, and the high irritability decreases, it is imperative that you begin to re-integrate the painful movement pattern. For example, if you had an injury that caused severe pain with bending forward try utilizing graded exposure drills such as squat to stand, cat/camels, and quadruped rockbacks to SLOWLY re-integrate spinal flexion! The health care provider should tell the client that it’s ok to have a little bit of pain/discomfort with these activities, as long as the pain doesn’t persist for hours after completion of the activities. This is called the process of habituation, where you provide the body with a stimulus that’s uncomfortable and you ask it to adapt to it. If it’s the correct intensity and dosage…it will! 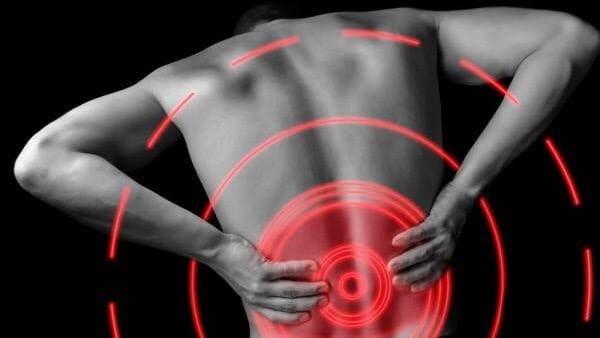 While the aim of this article is to provide a guide of what to do when the lifter hurts his/her back, it is of utmost importance to also employ strategies to reduce the risk of further flare ups as well. Load management is key here, as many will want to jump right back into their prior working weights as soon as possible. I recommend a conservative approach to slowly getting back. For example, if you hurt yourself deadlifting 365 for a set of 5, after employing some of the tactics above, try working up to 265 for a set of 5, then add 20 lbs to the bar every session until you get back to 365. Yes, this takes 6-weeks, and some may not have the patience for this, but it’s better than jumping right back to 315 and re-injuring! You don’t need fixed! Although manual therapy can help desensitize the nervous system in SOME cases for SOME people, it is not NECESSARY for a positive outcome. Most of these cases improve on their own with education and load management alone. Respect flare-ups and find tolerable movement patterns. Don’t aggressively stretch or mobilize into the painful pattern as soon as you injure yourself. It may take temporary avoidance of the painful pattern and frequent movement into a non-threatening pattern to help calm down the pain. Continue training in non-threatening ways. Utilize single-leg variations to continue training through an acute low back injury. This is a great way to continue loading the lower extremities while temporarily promoting less load through the spine. Don’t succumb to castrophizing and kinesiophobia. The dreaded low-back tweak usually feels like the worst injury in the world when it happens. It’s important to know that although it feels like the end of the world, take a deep breath and realize it’s only temporarily. Reintegrate painful movement patterns. After the injury calms down, it’s imperative to re-integrate the painful movement pattern. Take action to reduce the risk of further flare ups. Don’t jump back into the ballgame too soon. A slow approach will promote longevity and be a safer approach!